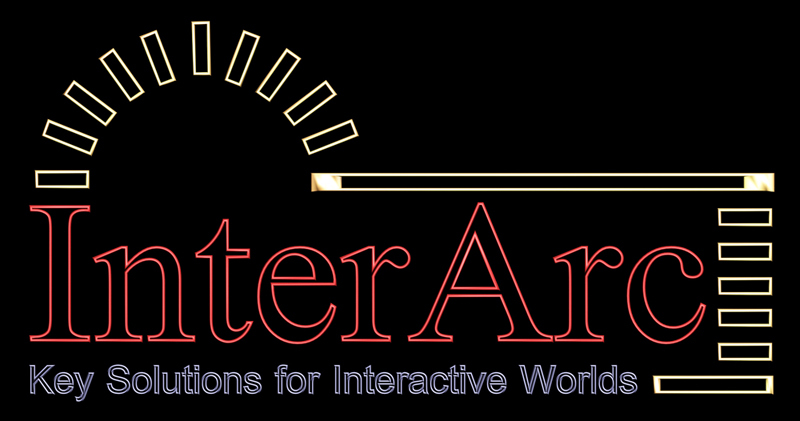 One Line Pitch: InterArc Solutions is the unparalleled entertainment establishment providing the hottest games, simulators, community events (locally, nationally and globally) and recreation, that stimulates and entertains minds of all ages. Business Summary: InterArc Solutions' concept is to provide an entertainment, social-educational, and café venue in Citrus and the surrounding Counties -- interactive gaming, entertainment, internet, refreshments, and courses in computers, software and other areas of interest -- all in a non-alcoholic environment. Social settings are gravitating toward a more entertainment-oriented concept. Guests of our establishment are not only offered a dynamic place to gather and mingle, but also a place to participate in the entertainment through dancing, interactive games and contests, theme days, and other events. We intend to heavily utilize societal trends to create customer loyalty. Management: InterArc Solutions' team is composed three individuals: First, Thomas F. Marciniak II who has a B.S. in Game Art & Design from The Art Institute of Ft. Lauderdale, FL and founder of InterArc Solutions. Second, Monty Clark who is currently the Dean of Academic Affairs for The Art Institute of Raleigh-Durham and president of Exodus Entertainment. He is a gaming veteran with 12+ yrs of experience as Producer/Production Coordinator at The Animation Factory, movie marketing and entertainment. Third, Neal Seiges a native of the Citrus County area whose insights into the lack of entertainments have been invaluable along with his vast knowledge of games and gaming systems. Customer Problem: There are very little sources for consumers (of all ages) to get together for entertainment and social interactions. Businesses are desperately seeking to pull consumers out of there homes. Customers: The Crystal River Mall is the only regional mall serving Citrus, Levy, Sumter, and Hernando Counties. It is conveniently located on US Highway 19, a major artery for Florida’s west coast and in route to Orlando. Business Model: Primary revenue stream is the Cover Charge, followed by Snacks and Beverages running parallel with Arcade use. see Products/Services above. After all expenses, initially after the first year 40% of profits will be used for Supplies and R&D, 58% of the profits as cash on hand, emergency funds. profit shares, etc. and 2% of profits for advertising. Competitors: The Fun Factory in Ocala which has traditional arcade machines, go-carts and put-put golf. Manatee Lanes in Crystal River which has traditional arcade machines, bowling and bar and grill. The RollerBarn in Inverness. Several sports bars and saloons. Internet cafes. Archaeological sites, libraries and state parks. Racing track. The Cinema in the Crystal River mall is also to be considered a competitor. Overall, the landscape is void of this genre of entertainment until Tampa and Orlando, and even then our model stands unique. InterArc Solutions' competitive advantage is derived from several factors. The following differentiate it from its competitors. Location--One of the major advantages that InterArc Solutions will have over its competition will be its central Florida location in the Crystal River Mall. The establishment is a 7,560 square foot complex, which will also house the company's corporate business office. InterArc Solutions will accommodate 100-200 people. Quality Service—InterArc Solutions will provide a wide range of entertainment and community education services, and we will strive to maintain high service quality that will help us develop a loyal clientèle. Low Overhead Cost—InterArc Solutions will be managed specifically to maintain targeted operating ratios that allow for maximum net profits. For initial modeling and build out, InterArc Solutions management will keep re-modeling costs minimized yet outstanding in theme. The area will be in a leased building. All operating expenses will be kept to a minimum, with cost of sales and margins reviewed on a monthly basis. Uniqueness—There is no other game like us around! Competitive Advantage: There is a need for such an establishment, not only because of our present economic climate but because “people want to get together.” It is part of our nature, through good times and bad we need to share experiences in a common environment. The solution is InterArc Solutions! Research & Development: R&D is more more than just testing new ideas, it is also about taking old ideas and improving upon them. Our facilities at the moment for R&D is garage based, don't laugh! We still make break throughs, remember "Apple!" Future: We plan on acquiring VWE and expanding upon their framework in the gaming industry. The creation of a Gaming, Fantasy, Sci-Fi, Cultural and Hard Science interactive museum is part of an ongoing project. The creation of life-size replicas such as the “Millennium Falcon” from Star Wars embracing an interactive-educational-cultural environment inspiring hope for the future.